This Homestyle Zucchini Gnocchi is delicious, easy to make and ready in about 20 minutes! 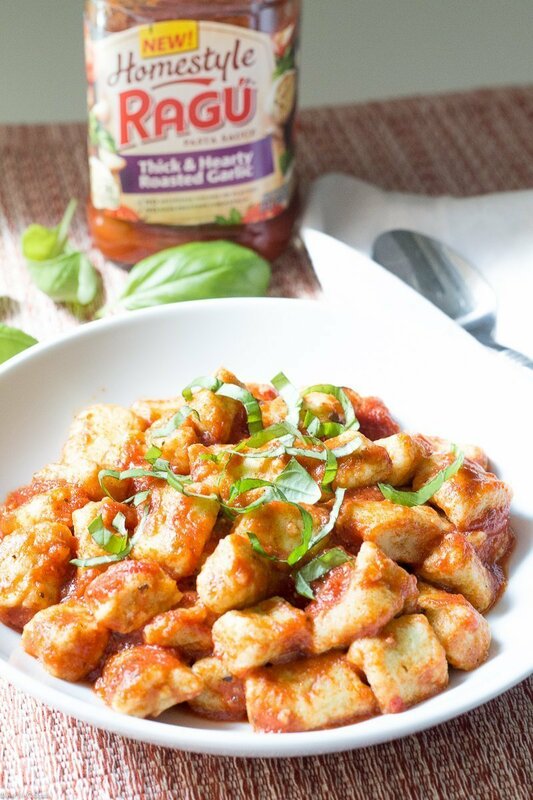 Homemade ricotta zucchini gnocchi tossed in a hearty, homestyle roasted garlic sauce. I have a confession. I am afraid of dough. Anything that requires making dough from scratch intimidates me. Bread, pasties, pasta… Sure it’s pretty ridiculous, but then again fear of failure typically is. 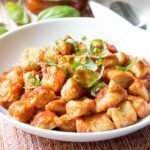 [bctt tweet=”Homestyle Zucchini Gnocchi #simmeredintradition #seasonal #meatless” username=”thyme4cocktails”] The only way to get over that fear is just to give it a try. And that’s exactly what I did with this Homestyle Zucchini Gnocchi. 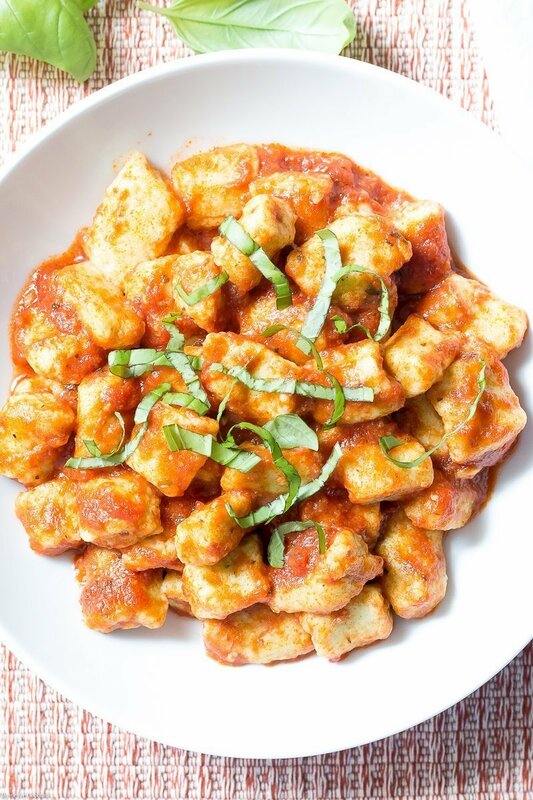 After much research I found this super easy way to make homemade gnocchi on the Bon Appetit website and decided to make it my own. And what better way to customize it than to add seasonal zucchini and toss it in our favorite Ragu Homestyle pasta sauce. 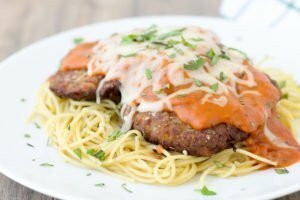 These thick and hearty sauces are the perfect complement to your favorite pasta dish. And the kid said I did a great job for my first try at homemade gnocchi! 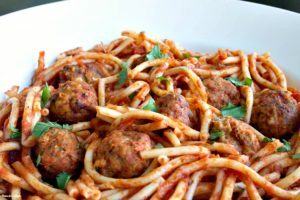 Be sure to check out my other Ragu recipes below. We only have 2 weeks left before the kid leaves for basic training so every experience we have is precious. I know these are the family memories I will hold dear for years to come! Bring a large pot of water to a low boil. Season with salt. Place zucchini in a cheesecloth lined strainer, let drain 5 minutes. Squeeze excess moisture form zucchini. Place zucchini, ricotta, and egg to a food processor. Blend until smooth. Add 1/2 cup flour, salt and pepper. Pulse to combine until a dough just holds together. Add more flour if necessary to reach correct consistency. Place dough in a large zippered plastic bag. Cut one corner from bag. Working in batches carefully pipe dough from bag, cutting into 1/2 inch pieces and drop directly into boiling water. Cook 2-3 minutes until gnocchi floats. Drain and toss with desired sauce. Serve immediately. I love gnocchi. 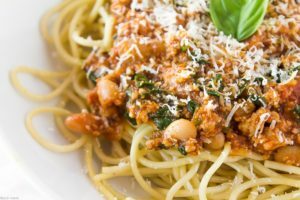 I will have to try it with the garlic sauce as I feel in love with Ragu’s new homestyle sauces when I was cooking for my post! I want to make roasted garlic gnocchi! I think it’s such as easy recipe to adapt with different flavors. 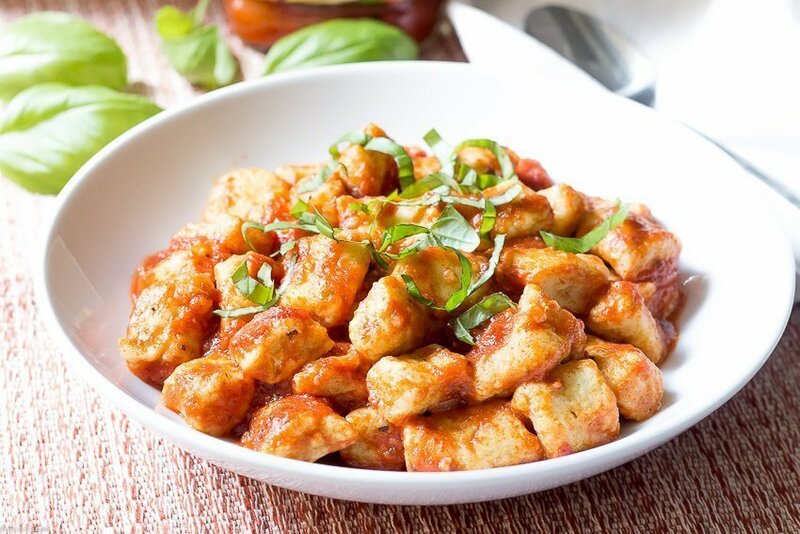 You make it so easy to make gnocchi from scratch! It was my first time & it was sooo easy! Thanks Coco! I was so intimidated until I took the plunge and tried it! I’ve never made homemade gnocchi. I bet this is amazing! 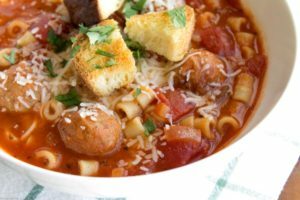 I’d love to try this recipe in the fall.